Vacation rental house. Sleeps 7, 4 bedrooms, 2 bathrooms. Dogs allowed. Filtered lake views can be enjoyed from this comfortable four bedroom, two bath vacation rental home in prestigious Dollar Point. There are two living areas in this large home, with open beam ceilings separated by a large stone fireplace. Each living area has a flat screen TV. There is access to the spacious and sunny deck from both living areas where you can relax in the sun or catch a glimpse of the lake. Large garage ,plenty of parking and an outdoor custom stone BBQ. The kitchen is fully equipped and there is a large dining room table. The master bedroom can be found on the top floor just off of the dining area. It has a King size bed and a full bathroom. Down stairs you will find the garage access and a laundry room. The first of three guest bedrooms has a Queen size bed. The second guest bedroom has a double sized bed. Third guest bedroom is furnished with a sleeper sofa bed. There is also a full bath on this level. There is Wifi at this house. The Dollar Point HOA pool and tennis courts are within walking distance from the house and it is just a short drive to the HOA beautiful beach with pier and BBQ facilities and volleyball for fun at the Lake during the summer! 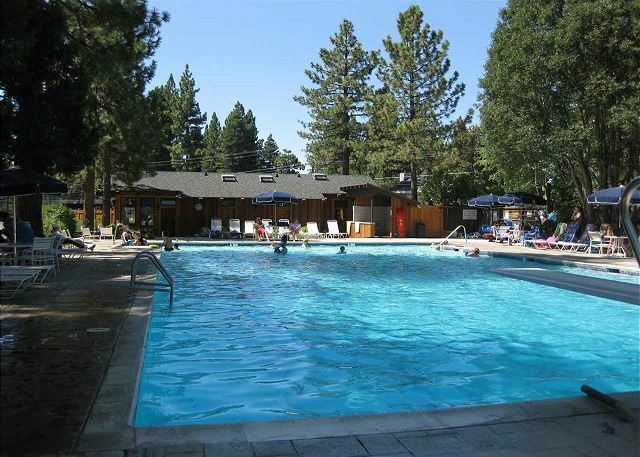 Short drive to Tahoe City for fine dining, shopping and entertainment. Good location for winter skiing with nearby Squaw Valley, Alpine Meadows and Homewood ski resorts. Our second stay at this house was just as good as the first. Beds are super comfortable,it's large and has a nice layout. Master BR on main floor, 3 BRs and Bath below. VERY quiet and peaceful. Winter view of the glistening lake. Close drive to Squaw where we skied, but not as remote. 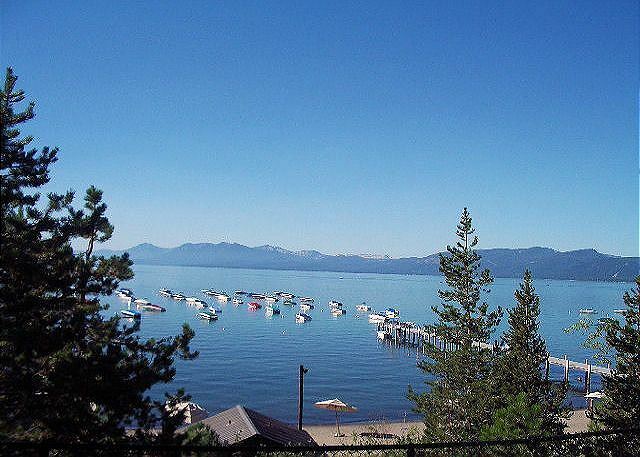 Great location to get to restaurants in Tahoe City and Incline Village, as well as points south. We have been renting the Parkin House for 20 years and the only complaint is that it oftentimes is not equipped with even the basics. Kitchen garbage bags, toilet paper and dish soap had to be purchased on the first day. Also, the garbage was completely full from the week previous and not picked up till Thursday of our week. All else was great, classic Tahoe! Convenient location in Dollar Point. Queen bed small for 2 people, 8 nights. Disturbing elk head in bedroom. This is a perfect location with filtered views of the lake. The home itself is very dated and in need of some TLC. Only one person could shower per couple of hours due to lack of hot water. We stayed 4 days yet charged for 5. Likely I won't be a return renter. Lisa, the property manager is fantastic. GOODNESS....WHERE TO BEGIN. wE'VE ENJOYED THE PARKIN HOUSE FOR AT LEAST 10 YEARS' IT'S BECOME OUR SECOND HOME ==FOR WHICH WE ARE VERY GRATEFUL. The beds were not comfortable, especially the ones in the downstairs. Lynn S from Rockville Centre, New York does not recommend this vacation rental. always a pleasure. thak you. We so fond of the pARKIN HOUSE--AS WE HAVE HAD THE PLEASURE OF BEING THERE FOR AT LEAST 8 YEARS. Has aLWAYS BEEN OUR SPECIAL PLACE.